The San Diego Air & Space Museum turned 50 years old Friday and marked the occasion by releasing a guidebook on its history and collections. SAN DIEGO (CNS) - The San Diego Air & Space Museum turned 50 years old Friday and marked the occasion by releasing a guidebook on its history and collections. 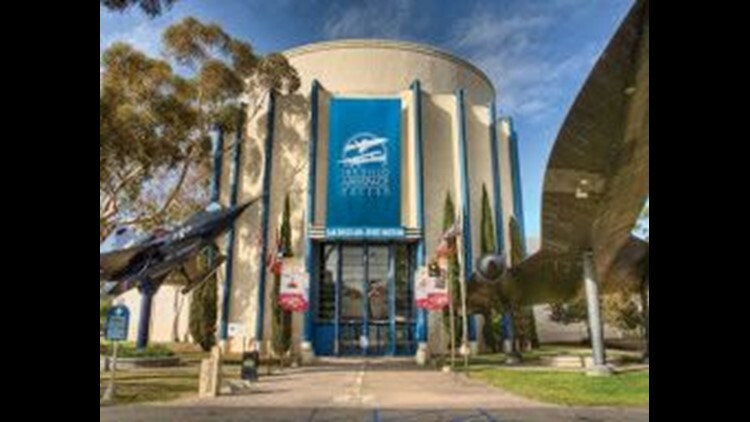 The attraction opened in Balboa Park as the San Diego Aerospace Museum on Feb. 15, 1963, featuring a reproduction of the Navy's first seaplane, the Curtiss A-1; a 1929 Fleet Model 7; the original rocket engine from the Bell X-1; and artifacts relating to aviation pioneer John J. Montgomery. The institution moved to a larger, nearby facility a couple of years later as the number of exhibits grew, and was planning to move again in 1978 when the building was struck by fire. According to the museum, more than 50 aircraft and other exhibits were consumed by flames, but some archival material was saved. The museum said it was discovered years later that the blaze was started by teenagers, who were not charged. Several days after the museum fire, an arsonist destroyed the Old Globe Theatre. Then-Mayor Pete Wilson created a fund to pay for a rebuilding effort, which concluded with a reopening in the south end of the park in 1980. The museum said many San Diegans made donations to rebuild its collections and archives. The museum opened an annex in the 1980s at Gillespie Field in El Cajon, which displays 40 aircraft and provides space for restoration projects. Seven years ago, it acquired a low-speed wind tunnel near Lindbergh Field, which is used for a variety of test projects. "We are proud to carry on the tradition and legacy which was established by so many great people in 1963 to ensure our region's air and space museum is the finest," said Jim Kidrick, the museum's president and CEO. The museum bills itself as one of the four largest aviation museum in the country, with the third-largest collection of archives and library. It is also one of only two museums in Balboa Park to be affiliated with the Smithsonian Institution.